This is the perfect Lightroom presets bundle to enhance photographs of your special day! Our wedding Lightroom presets can help you bring out the best in your wedding photographs. This Lightroom wedding presets bundle contains unique, high quality effects for use with all kinds of wedding photographs. Whether you want to add clarity, focus, contrast or other effects, this bundle give you all these options and more. You can also save 5% on anything at Sleeklens with the code designshack5. Unlike any other presets available on the market, Lumosmax’s Wedding Presets Collection gives you all you need to create that exclusive bright and airy wedding photos. There are 30 presets inspired by noteworthy weddings from all over the world. In addition, you will get Lightroom Profile(s) as well as Photo Overlays that you can utilise to bring out the magic in your photos. Lumosmax’s wedding presets are a comprehensive collection of breath- taking edits and a truly unique offering you won’t find anywhere else. Check out their website for photo samples. Bright and Airy is a collection of professional Lightroom presets designed for optimizing wedding photography, especially including outdoor photos. The bundle includes 11 different presets featuring various effects. The presets are compatible with both Lightroom desktop and mobile apps as well. This collection of Lightroom presets comes with a set of matte color effects that allows you to add a bit of more beauty to your wedding photography. It includes 11 presets that works with mobile and desktop Lightroom apps. Light and Airy is another bundle of wedding-themed Lightroom presets that comes with a set of 30 different presets for enhancing, optimizing, and improving your photos. All of the presets in this pack are fully customizable to your preference. Indie Wedding is a collection of wedding Lightroom presets featuring toning and film-inspired color effects. These are perfect for adding an extra professional touch to your photos. The pack includes 32 presets. This bundle of Lightroom presets includes 12 different effects for optimizing wedding, couple, and portrait photos. The effects are most suitable for enhancing photos taken in outdoor light conditions. Toning is an important part of enhancing wedding photos. With this collection of Lightroom presets, you’ll be able to adjust your wedding photography tones almost instantly. It includes 11 effects. Dreamy days is a collection of Lightroom presets specially made for optimizing portrait photos taken in outdoor environments. It includes 11 different presets that are compatible with Lightroom mobile and desktop apps. Give a sweet color toning effect to your wedding photos using this bundle of Lightroom presets. It comes with 50 different presets for instantly adjusting and improving your photos. 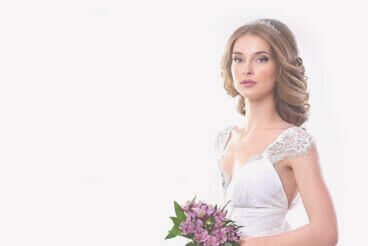 This is a collection of 60 different Lightroom presets you can use to enhance and improve your wedding photos in many different ways, including adjusting toning, contrast, mood, colors, and more. This bundle of Lightroom presets comes with 11 unique effects that allow you to add a moody color effect to your wedding photos. The presets in this pack are compatible with Lightroom 4 and higher as well as Lightroom for mobile app. Wedding Pro is a collection of premium Lightroom presets specifically designed to help you optimize your wedding-theme photos. The pack includes 10 high-quality presets for enhancing lights and tone in your outdoor and other various wedding photos. This pack includes a set of 30 professionally-crafted Lightroom presets for improving portrait photos. It comes with several different types of presets that allows you to optimize your fashion, street, outdoor, wedding, and other types of photos. This is a set of Lightroom presets that’s ideal for photographers who mostly work with street and urban photography. This pack includes 13 simple and easy to use presets for instantly giving a professional look to your raw street photos. It features several B&W, Night, and Film related presets as well. Portochrome is a bundle of 38 Lightroom presets that features several types of effects. It includes 5 base presets and 33 different variations of the effects. Which are perfect for outdoor, natural light, and wedding photography. Give your photos a beautiful cinematic look using this bundle of Lightroom presets. This pack includes 49 effects crafted by professionals for instantly enhancing your photos with just one-click. The effects are compatible with Lightroom 4 and above. Retouch Pro is a set of presets that allows you quickly retouch and enhance your portrait and close-up photos with minimum effort. The bundle includes 15 different Lightroom presets that are ideal for professional, fashion, and portrait photography. If you’re a photographer who works with interior design photography, this pack of Lightroom presets will come in handy. This bundle includes 20 unique presets specially designed for enhancing low-light photos and for also adding different kinds of effects. Winterchrome is a set of winter-themed Lightroom presets designed for portraits and family photos. It comes with 8 different presets with various effects for adding more style and professionalism to your winter photography. This is a bundle of Lightroom presets for enhancing your couple, selfie, nature, and outdoor photos. The pack includes 30 different presets with different types of effects. Deeptone is a set of professional Lightroom toning presets that helps optimize your portrait and lifestyle photography with one-click effects. It comes with 8 various effects, including matte, warm, cold, and more. A massive bundle of film emulation Lightroom presets. This pack includes 50 professional presets for enhancing your wedding photos, portraits, outdoor, fashion, and many other types of photos with fully-customizable presets. Give your photos a retro-vibe using this bundle of presets. It comes with 17 unique Lightroom presets featuring retro effects for adding a special professional touch to your portrait and family photos. If you’re a food blogger or a photographer who works with food-related photography, this is a bundle of presets that you must have to boost your workflow. It includes 42 different presets designed to improve food photos. It also includes Adobe Camera Raw versions of the presets as well. This is a bundle of classic Lightroom effects that allows you to give your photos a modern retro vibe using a soft washed out look. It includes 30 presets that are compatible with Lightroom 4 and above. Use this pack of presets to enhance the photos you use in your blogs, websites, and magazines. It includes 30 unique and non-destructive Lightroom effects for instantly giving a smooth magazine-style look to your photos. Adding a professional finish to your images will be a piece of cake with this massive Lightroom presets pack, which includes 50 different presets for enhancing your wedding photos. This Lightroom preset pack will work better with the outdoor wedding photos. It comes with 15 easy to use presets. This preset is specially designed for easily adding that warm summer-like effect to wedding photos. You can also customize the effect to match your preference. With 3 color presets and 3 monochrome presets, this pack lets you enhance images with a unique setting of curves. A Lightroom presets bundle that packs enough effects for you to design an entire wedding album. This bundle includes 50 different vintage effects in Lightroom presets. This bundle of effects even works with video files and comes with several useful Lightroom presets such as indoor tone, perfect skin, blue fade, color lens, pure HDR, and more. Another bundle of 50 premium-quality Lightroom presets for tweaking your wedding photos. The presets in this bundle are also 100% customizable. A set of non-destructive Lightroom presets that enhance your photos based on color, exposure, contrast, whites, and blacks. The presets in this pack are designed to beautify and enhance the photos of the bride. But, they can also be used with many other types of wedding photos. This bundle of 19 professional Lightroom presets is great for creating love-story photos, improving wedding photos, and more. The effects are fully customizable. A collection of high-quality Lightroom presets for adding stunning effects to your wedding photos. This bundle includes 3 Lightroom preset packs with a total of 27 professional presets. You can edit and enhance all types of wedding photos with this bundle. This collection of Lightroom presets allows you to enhance and improve your photos in just one-click. The effects that come with these presets are also non-destructive and won’t change the white balance of your images. The presets in this bundle are mainly for enhancing skin color, which will make it more suitable for wedding portraits and close-up photos. This bundle comes with 10 different Lightroom presets suitable for improving outdoor wedding photos, including beach, summer, black and white, and more settings. The presets in this bundle comes with stylish film-like matte tone designed for optimizing honeymoon themed photos. A collection of 50 Lightroom presets with realistic vintage and matte effects. You can also edit the presets to customize the effects. This bundle includes 5 beautiful Lightroom presets with a smooth color tone effect for enhancing wedding and engagement photos. The Lightroom presets in this bundle mainly focuses on enhancing skin colors. It’s best for outdoor and portrait photos. Give your wedding photos a professional look with this bundle of 10 unique Lightroom presets. The effects can be applied instantly and can be customized as well. The Lightroom presets in this bundle will allow you to improve portraits, outdoor, indoor, and almost all types of wedding photos you have. Professional photographers and designers will find these Lightroom presets much more helpful, especially when it comes to enhancing skin tone and outdoor photos. Make It Pro is a Lightroom presets bundle that comes with 40 different presets for instantly giving a professional look to your wedding photos. A collection of easily customizable Lightroom presets suitable for many different kinds of wedding photos. This bundle includes 30 different Lightroom presets suitable for wedding, honeymoon, and many other types of photos. The high-quality Lightroom presets in this bundle will help you to easily achieve that dramatic effect on outdoor wedding photos. Last but not least, a mammoth sized bundle that comes with over 170 Lightroom presets. This pack has everything you need for editing and improving all kinds of wedding photos. All the Lightroom presets featured above are completely customizable. You can edit the settings of each preset to match your image qualities and customize it however you like. Test and experiment with these presets to find the sweet spot that will redefine your designs. Adobe Lightroom makes it easy to organise and edit thousands of images and photographs. It's trusted by photographers everywhere, and a key piece of software to know how to use as a designer. This series looks at how you can use Lightroom presets to create stunning end-results with your photos.